Pedestrians and vehicles on JFK Boulevard in Center City Philadelphia. In 2018, more pedestrians were killed in the U.S. than in any other year in nearly two decades, a continuation of an upward trend. a new study released this week reported. The research, conducted by the nonprofit Governors Highway Safety Association, estimates around 6,227 pedestrians were killed in 2018 — the most since 2009. Interestingly, all other traffic-related deaths decreased during the same period, the report found, showing just how dangerous walking to school, work, and in the neighborhood has become in some areas. About 35 percent of all pedestrian deaths occur on local streets, rather than highways, interstates, or country roads. And 72 percent of deadly crashes occurred not at an intersection, the report found. Based on the research, the nonprofit suggested the increase is due to more people walking, more people on the roads at nighttime, unsafe behaviors like drunk driving, an increase in SUVs on the road and smartphone use. In Pennsylvania from January through June 2017, compared to the same period in 2018, pedestrian deaths increased by 41 percent, or by 26 incidents, totaling 90 deaths. The state was among the top 10 states with the greatest increase of pedestrian fatalities. 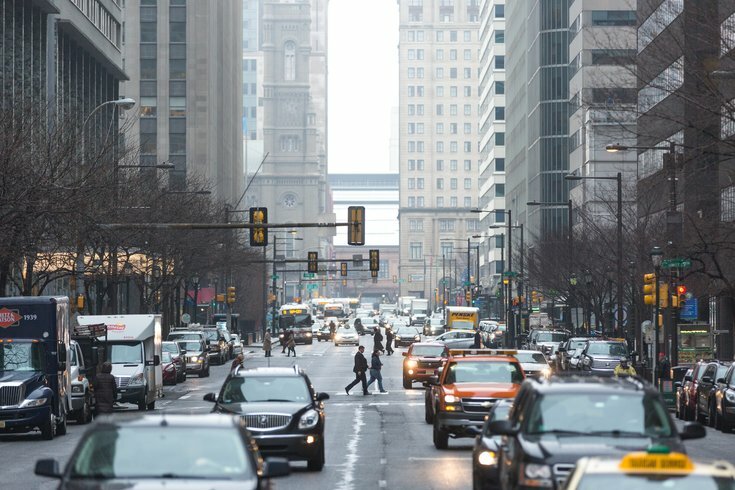 Although Pennsylvania saw state-wide increases, between 2016 and 2017 in the country's top 10 biggest cities — which includes Philadelphia — pedestrian fatalities fell by 15 percent, even though that rate still was 9 percent higher than 2015. The report chalked this up to Vision Zero, measures and plans Philly has been slowly but surely adopting to increase pedestrian safety. Educational campaigns about safe walking practices are the most important step in reducing pedestrian fatalities, the report suggested. To learn about pedestrian laws, get tips for walking in your community, and find safe routes to walk to school or work, visit the Pennsylvania Department of Transportation website.